Perform or contract others to perform pre-building assessments, such as conceptual cost estimating, rough order of magnitude estimating, feasibility, or energy efficiency, environmental, and sustainability assessments. Engineering and Technology — Knowledge of the practical application of engineering, science, and technology. This includes applying principles, techniques, procedures, and equipment to the design and production of various goods and services. Clerical — Knowledge of administrative and clerical procedures and systems such as word processing, managing files, and records, stenography and transcription, designing forms, and other office procedures and terminology. 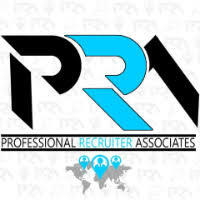 For immediate consideration, please forward a copy of your current resume to info@profrecruiters.com referencing job #1545 or a link to this job.